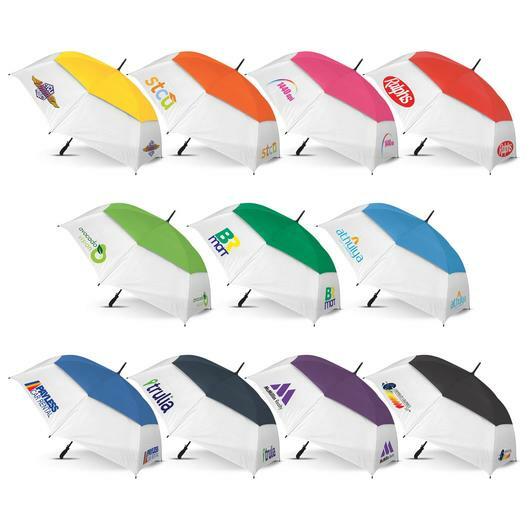 Whether it's the sun or rain, these auto-open, 8 panel sports umbrellas are a great choice to keeping you protected when you're outside or on the golf course. They're made from rugged 190T showerproof fabric and featuring a contrasting white and coloured design that catches the eye. It has a fully vented double panel wind proof canopy complete with 8 fibreglass ribs and strong fibreglass shaft. 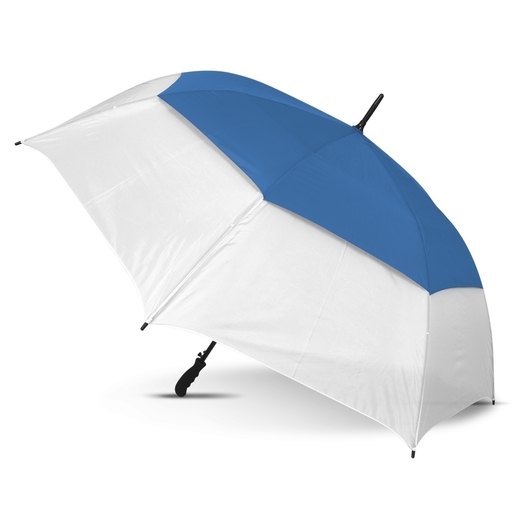 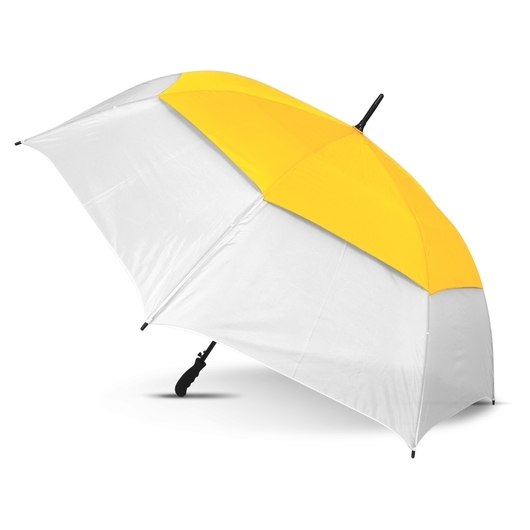 Other features on this umbrella include a contoured, soft touch rubber lacquered grip, plastic tips and double Velcro ties.